Welcome to the third edition of Much Ado about Monday! We are so happy to have you here to party with us! We hope that y'all had a really great Easter weekend and are finally coming down off your sugar-high (I think it's time to hide the candy from the kids and from myself). If you missed the features from last week, take a peek at our Friday Features for some inspiration! We can't wait to see all the amazing ideas that our fellow bloggers have to share with us this week! *Please follow us on GFC. 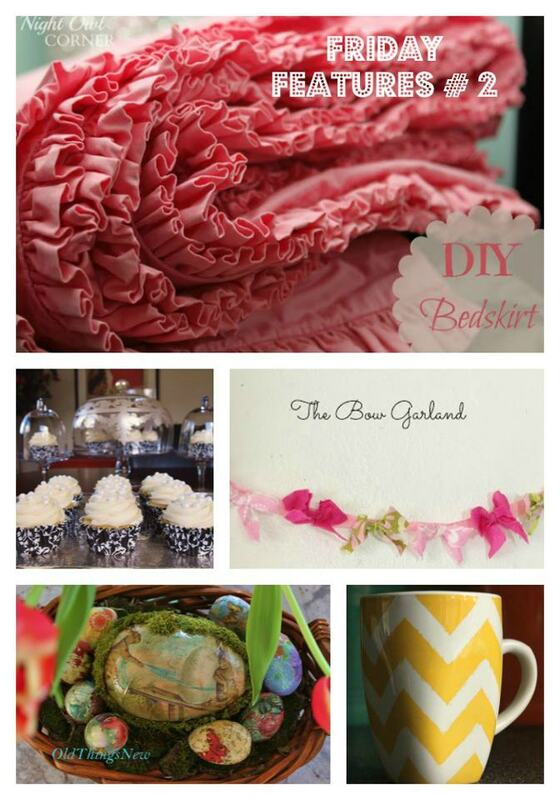 We would also love for you to follow us on Pinterest and Facebook. Thanks for hosting!!!! Am going to add you to my fave blog list now! Thanks so much for hosting and inviting me over here! I'll be adding you to my link party lists :-D Great to be here! Thanks for hosting and inviting me, I am glad to be joining in ... have a great week! Thanks for inviting me over to link up and stopping by my blog! !